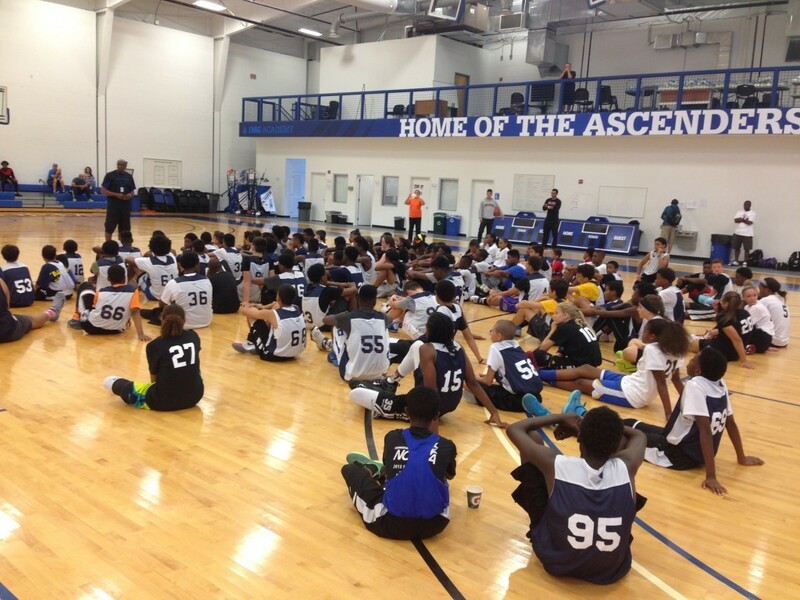 The “Best of the Best Elite Florida Showcase” was held at IMG Academy in Bradenton this past Saturday. 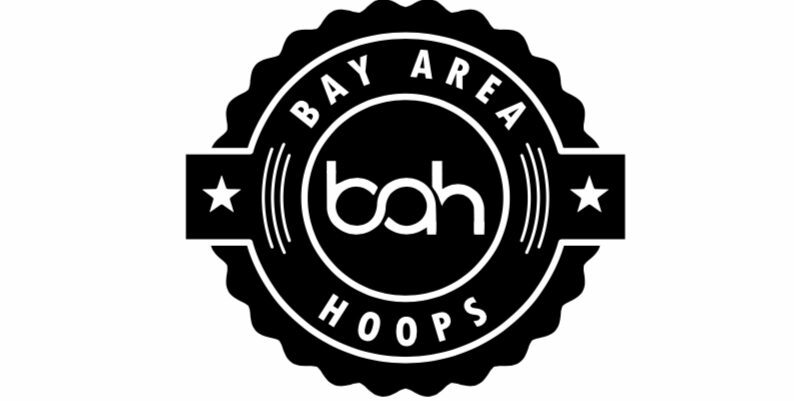 There was emphasis on improving players ability to learn a rapid rates plus the ability to understand basketball through different styles of coaching. 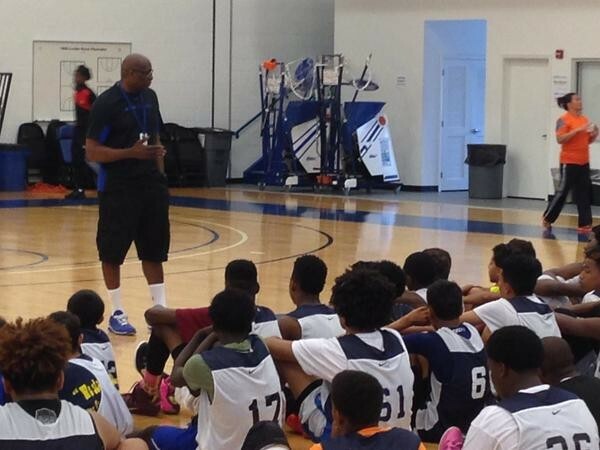 Through discussions from showcase Director Marcus McGee and Basketball Director at IMG Coach Kenny Natt, there was an emphasis on skill development and succeeding at your craft. 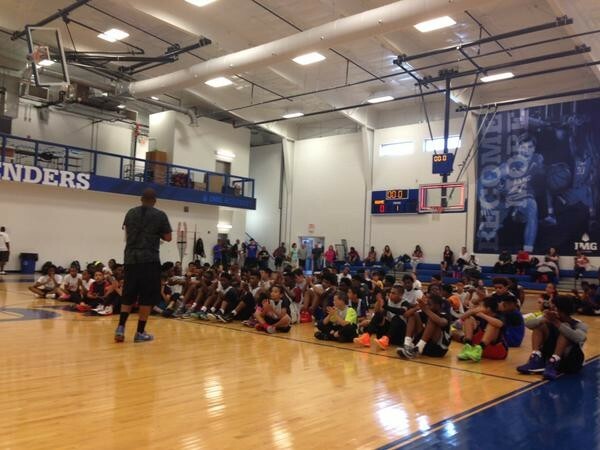 Maximizing each campers overall growth was the main goal. 2020 G-F Leonard Manuel Very talented wing, used his length and athleticism to attack rim in transition. Had plenty opportunities on defensive to grab rebounds which lead to burst up the sidelines for easy dunks. Manuel should take his game a step further by creating post game to add to his skill set and use more dribble penetration to open up other players. 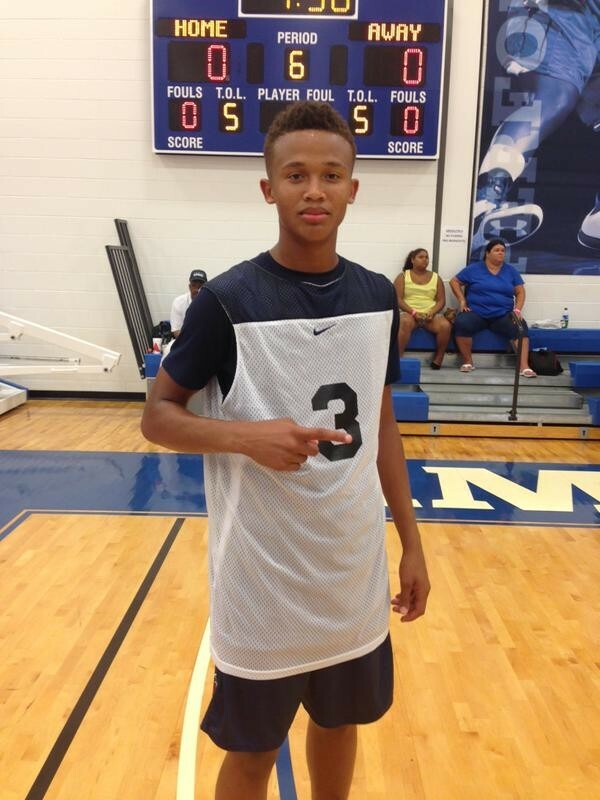 2019 PG Isiah Kirby Aggressive PG that plays passing lanes, converts defense to offense. 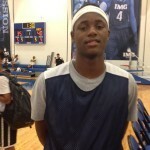 Kirby was able to make quick offensive decisions and kept defenses off balance with his ability to get to the rim. 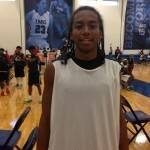 Kirby should continue to improve his jump shot in ball screen situations and off of long defensive closeout. 2020 G-F Kario Oquendo was the best player in the gym and maybe the most aggressive when it came to dunking the ball and getting to the basket. Kario was in most of the transition plays, always looked to score and played with a load of confidence. Can work on giving defenses another look in his offense with a long ball or pull up jumper. 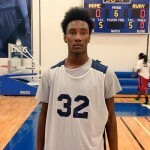 2019 SF Justyn King as the potential to be dominant SF. For a lefty he can pressure defense players to adjust to him. King looked comfortable shooting the ball but should become more confident in his offense. 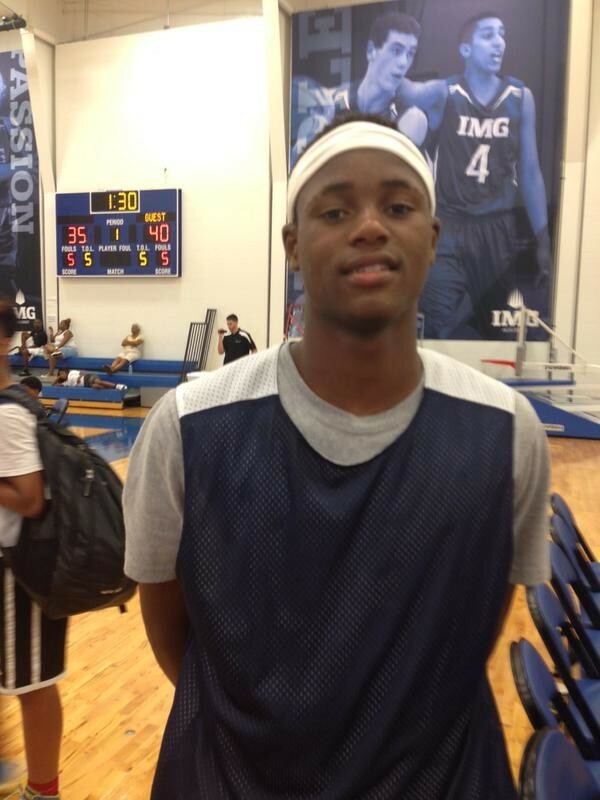 He showed a mid range shot and moved well off ball screens for easy layups or dunks. 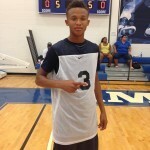 2019 G Norris Taylor Tough driving guard with a knack for the 3 ball. Pressured the ball often and used his lateral quickness to wear down an opposing guards. Would like to see Taylor improve on his left hand dribble penetration. Taylor who can both the PG and SG position can exploit defense from beyond the arc. Taylor is a downhill runner when pushing the offense in transition. He’s always in a shooting position and always ready to score. 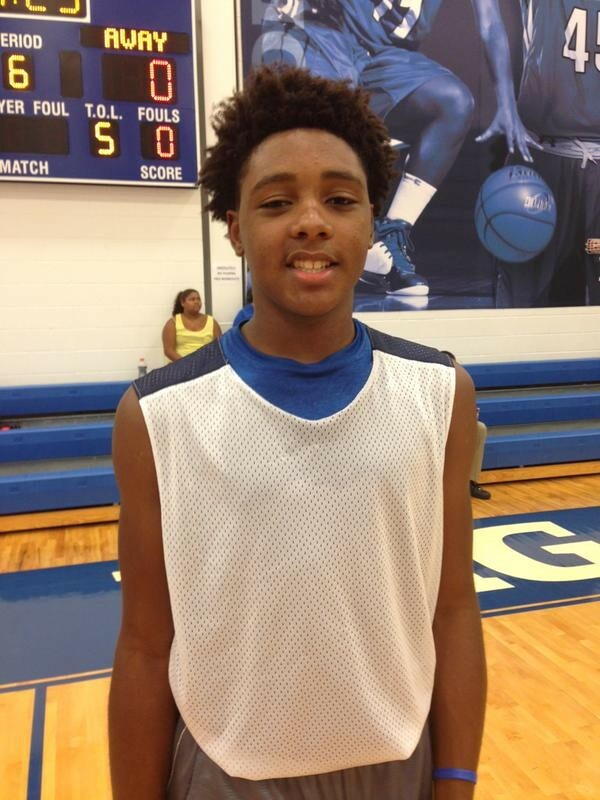 2019 PG Tre’Shaun Mann is a creator off the dribble. Changed directions on a dime, pulled up for jump shots in dribble drives without notice which kept defenders on their heels. Mann should work on his body frame to take contact. 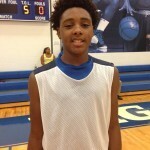 2019 G Romaire Burke is very elusive when he gets the ball. He can drive past you or pull up when necessary. He has long fingers and wide hands which helps with his pull up jump shot. He can get into the paint and use his floater well. 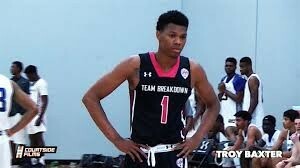 Should add some muscle to his frame over the summer and work on the 3 ball more to get more spacing in the offense. Very skilled player. 2019 G Zavien Smith is always on GO!! Can score without a problem but needs to work on his shot selection and tempo in certain situations. A player who will keep you in close games. We loved his energy and passion he brings but needs to stay patient. 2019 SG DJ Henderson was able to show that he could play both ends of the court and put pressure on defenses of dribble drive penetration. Henderson is young but has to play up and he will need to develop physically quicker then others. However, Henderson has multiple moves when he drives to the rim but he needs to consistently stroke the ball from outside. 2019 PG Jelani Moreno had a decent day putting players in scoring positions, moved the ball well and used his dribble penetration to get past defenders. Moreno should take more effort in changing tempo and extending the defense with a 3 ball shot. 2019 G Ezekiel Williamsonbey was quick and very hard to stay in front off at times. High motor athlete that will drive past defenders off one move. Williamsonbey should learn to extend his dribble when the shot is not available after penetration. Can work on perimeter shooting. 2019 C Jeremiah Tisme had some good moments. At 6’7″ he showed his size on some dunks at the rim. he ran the floor and block some shots. Tisme has to get stronger and put a 10 ft jump shot in his offensive game. 2019 G/F John Williams: Was effective in the paint, stayed aggressive against his man on defense and put lots of effort in being effective creating for others. Rebounds well but needs to score more to make defenses play him honestly. 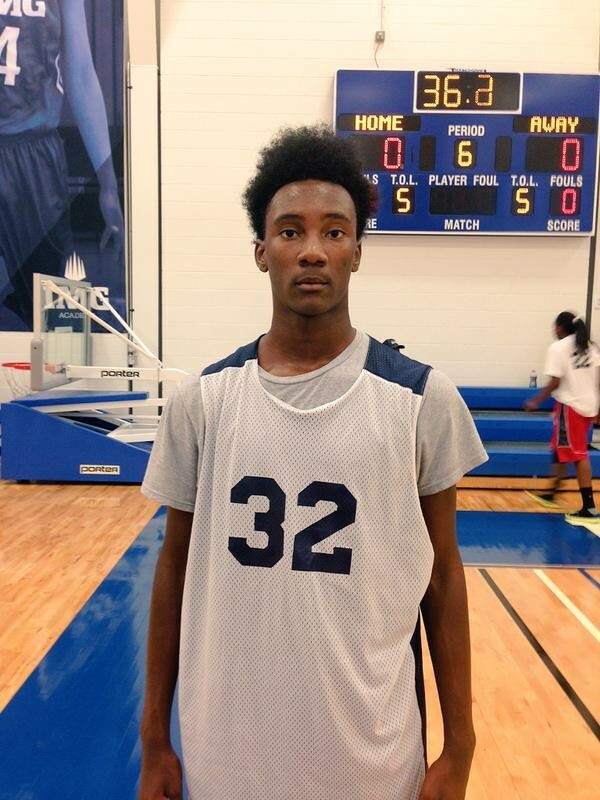 2020 PF Gervon Dexter: 6’5″ Dexter played big with and without the ball. He showed some offense at times by hitting a few jump shots. Dexter is more effective in a half court offense and should keep working on his scoring. 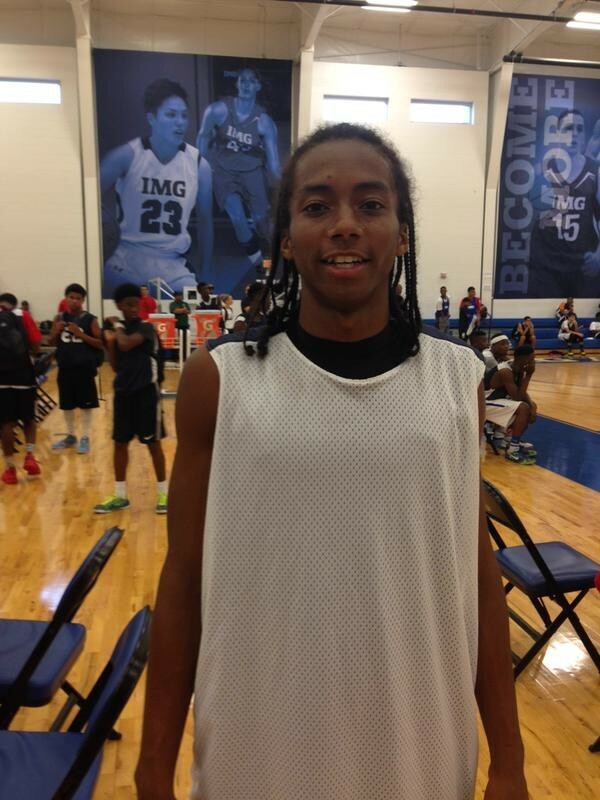 2019 PG Jordan Smith: showed good ball skills, efficient in set offenses and made good IQ decisions in transition. Scoring in crowds look to be a problem for Smith because of his height and needs to knock down the open shot. 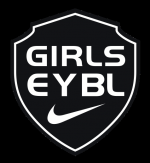 2019 PG Delon Gooden Jr.
2019 F Nabaweeyah McGill wil be a good post player. Runs right in front of the rim in secondary transition. McGill stayed in good post position and was visible when asking for the ball. She should show more of her perimeter shot when needed. 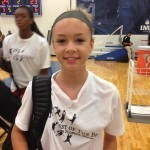 2020 PG Kali Barber was able to make shots and used her dribble to keep create her offense. Sometimes she was a bit passive and should keep pressure on opposing defenders when needed. 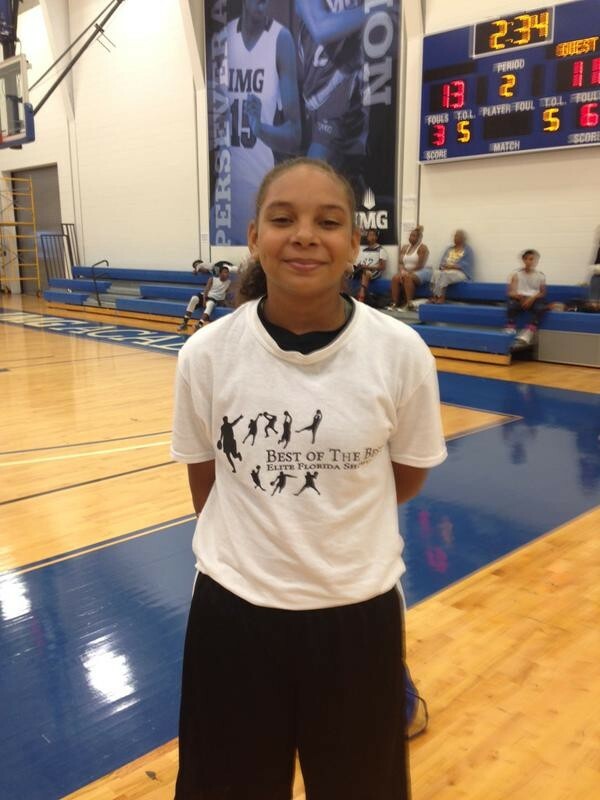 2023 PG Keyara Bromley played solid and consistent the whole day. 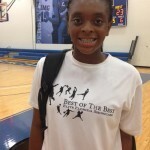 She didn’t force shots or ball hog but needed to put her crafty dribble to work more often. Bromely is very young with a good upside. 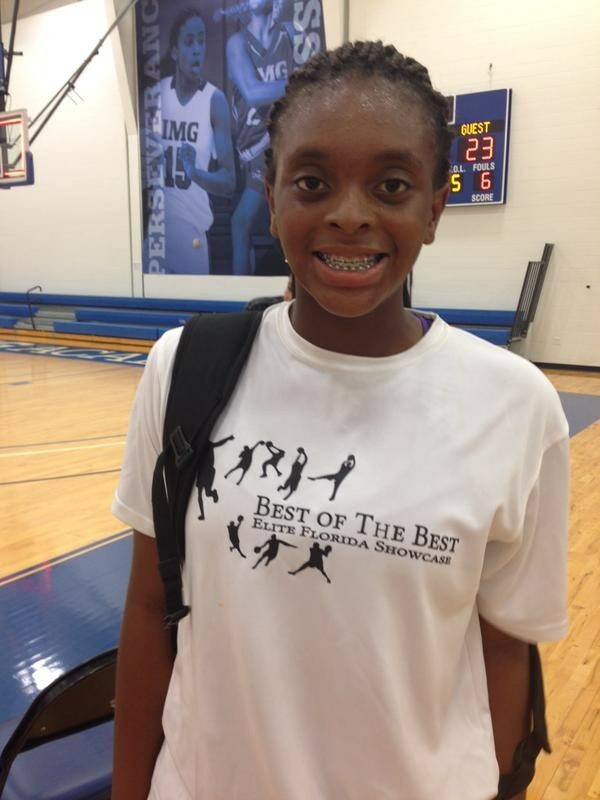 She can create offenses for others and spread defenses with her jump shot. A player to watch grow. 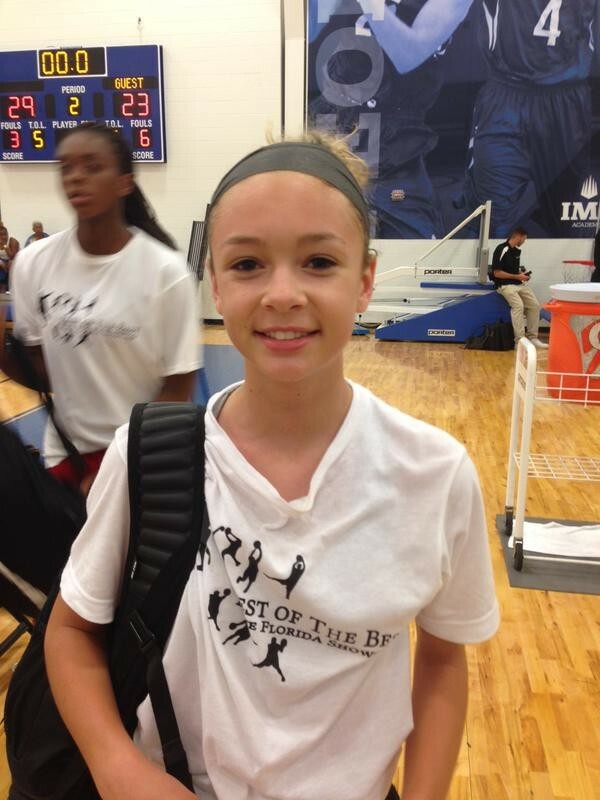 2020 G Savannah Lang is a both end player. Can score in multiple ways especially in transition and turn defense to offense for team as well. 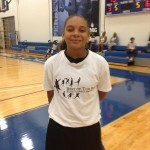 2021 PG Kailyn Gilbert a quick and fast PG. Defended the perimeter well and used her floater in the paint to get her shot off.